We strive for excellence with every word. 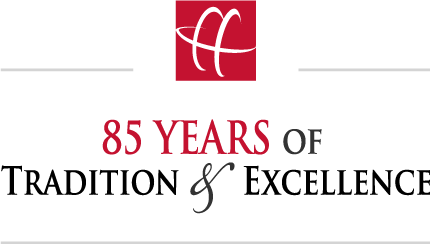 The Huseby family has been servicing the legal community with court reporters for over 85 years. We understand every case is different, and no matter the size of your case we make sure it is done right. Interactive real-time allows you to have instant access to a live transcript feed as it is being taken down by a highly skilled, and experienced real-time reporter. You have the ability to keyword search the transcript, mark key sections for later reference, highlight and issue code text and make notes all during the event. After you can save the draft transcript, with your marks and annotations, in your portal or export locally to your computer, or to Summation, LiveNote or CaseMap. All of these tools are available to you whether you are sitting in the same room as the reporter, in a war room at trial, or attending a deposition from across the world. Huseby takes data security very seriously and has committed significant resources to ensure our clients have the most secure data and client information in the industry. These procedures and safeguards ensure the highest standards of confidentiality are met both in our production facilities and data centers. As an example, no client information is stored on local workstations. All data is stored in world-renowned SSAE16 SOC-1 Type 2 certified datacenters with the highest security ratings for any datacenter company. Data is encrypted with the highest 256-bit encryption in transit. Our processes and procedures are designed to comply with HIPAA security standards. Huseby’s revolutionary exhibit management tools allow you to electronically manage, present, annotate and mark exhibits during a deposition. Seamlessly manage hundreds, or even thousands, of exhibits at each deposition digitally and display in real-time. You also have access to all previously marked exhibits electronically, eliminating the need to ship boxes from one deposition to another. After the event, you have immediate access to your exhibits from your computer, tablet or mobile device to begin annotating and making notes on your electronic copy. You can then send those annotations in PDF to your paralegal, co-counsel or expert. In addition you have the ability to keyword search your entire database of exhibits and create expert witness banks. All exhibits are hyperlinked to the transcript in PDF, LEF, SBF and/or XMEF formats for your convenience. Huseby’s broadcast quality video conferencing suites across the country provide a state-of-the-art video experience. Conference rooms are equipped with high definition video screens and high-quality room speaker systems. Using the latest in bridging technology, connect as many locations as needed, including laptops through HusebyConnect. HusebyConnect web conferencing allows you to effectively prep a witness, attend a deposition, stream a trial or collaborate across multiple locations anywhere in the world using the most advanced, cost-effective solution in the industry. Utilize robust video conferencing capabilities with a built-in webcam, external 1080p HD webcam or connect directly to a professional videographer’s video feed. Event recording for deposition or trial preparation can be securely played back anywhere, anytime. Improve productivity by prepping a witness remotely or collaborating across multiple office locations preparing for trial. Our technology allows video to become keyword searchable. The transcript is synchronized with the video and exhibits are hyperlinked for quick reference. Clips can easily be created and emailed or exported to your desktop, Summation, TrialDirector or directly into PowerPoint for an opening or closing statement. Creation of a clip library allows you to manage clips for trial and export multiple clips, or multi-segment clips at one-time. Video-transcript synchs are provided in LEF, SBF and/or XMEF formats for your convenience. Take advantage of Huseby’s mobile and online technology to simplify the way you access your work product. Our proprietary tools allow the flexibility 24/7 to access files wherever and whenever you need it from your laptop, tablet or mobile device. View your calendar of upcoming events. View invoice activity by case, date range or account status, including outstanding balances. Search all transcripts and exhibits by case, date range, witness bank or file description. Make highlights and notes on transcripts and exhibits, and synch back to the desktop or send to a paralegal, co-counsel or expert. Join live events remotely with instant access to content created at the event. Every case deserves top-line case management. Our case managers are ready to roll up their sleeves and work with you. What you get is dependable communication and reliable organization. Our consultative approach to the development of solutions is the keystone to help you manage your case – We work closely with you to understand the factors that drive the case and to explore creative solutions that provide the best value for your money. We make sure what you need is what you have. Our primary goal is always to identify the strategies, techniques and technologies that can save our clients time and money throughout the litigation lifecycle. Our consultative approach to the development of solutions is the keystone in this effort – We work closely with you to understand the factors that drive the case and to explore creative solutions that provide the best value for your money. Huseby's robust Quality Control Department is dedicated to achieving the highest quality standards in the industry. Significant resources have been dedicated to ensuring your deposition experience will be letter-perfect. Quality Control (do the right thing) – This happens on the front end and resolves any questions regarding the input from the client and the court reporter prior to any production. Quality Assurance (do it right) – This occurs after production to ensure all work product is produced accurately, correctly and is shipped appropriately. Huseby’s production process follows a six-sigma protocol designed to ensure nothing is missed. Quality is an important part of the business and Huseby is dedicated to producing a world-class product. Work with a team that understands the unique needs of your practice, increases efficiency and drives results. We have a large group of the highest quality court reporters and videographers ready to work across the country. Many of the court reporters you see every day have been with us for decades. They know the needs of our clients and often anticipate those needs. The result: trouble-free depositions and a high level of mutual trust and confidence from both sides. Huseby reporters nationally are used to covering the hard cases. Our schedulers make sure you have the right reporter for your depositions and we keep our clients happy. Just ask someone. The most experienced, tech-savvy certified court reporters work for Huseby, Inc. Why? We trust them, we respect them and we treat them as the professionals they are. We provide our reporters with the challenge of complex cases from national clients and traditional cases from local law firms, governments and corporations. Huseby, Inc. was founded by a family of court reporters and has been serving the legal communities since the first Huseby court reporter was certified in 1928. Many of our reporters have been with us for over 20 years. We treat our reporters as important clients and have the strongest reporter and customer service support in the industry. Huseby’s Production Department is dedicated to achieving the highest quality standards in the industry. Quality control activities are an important part of our business with significant resources dedicated to producing a world-class product. Our Quality Management (QM) program is part of who we are. We have a culture that believes in quality and we empower our people to be their best every day. Huseby has a client-focused culture of continuous improvement. Why do we care so much? Regardless of where your deposition takes place our product is consistent and to specification. It is just that simple.